Home AgeWise What Do You Expect? What’s your life going to look like 10 or 20 years from now? How will your body or relationships or income or capabilities change? Expecting lots of decline and disability? You might be surprised by how things could turn out. A Pew study found a significant difference between what adults expected life over 65 to be like and what people over 65 actually experience. For example, over half of adults (57%) expect to suffer memory loss, but only 25% of those over 65 actually do. Nearly half of people (45%) worry about not being able to drive later in life, but only 14% of older adults experience having to give up their keys. That isn’t the only study identifying a mismatch between dominant views on older age and reality. Research done by the FrameWorks Institute shows that there is a vast difference between what experts know about aging and what the public believes. It’s no wonder many of us have a pessimistic perspective on aging. We are bombarded by images and information that paint being older as a dire and dismal experience. We are surrounded my messages that describe getting older as being not much more than becoming unattractive, weak, and in need of help. I often ask people in my workshops to describe three men in their 80s. Typically, the answers I get are along the lines of men sitting in a nursing home dressed frumpily, heads bowed, waiting for a meal. That image may hold true for some, but there are people in their 80s who still practice medicine, teach college courses, serve as flight attendants, are swim instructors, bakers, and much more. What we expect our future to be like is too often limited by negative stereotypes. To improve your odds, change your mind about what’s possible for you. Your expectations can influence how well you age and how long you live. 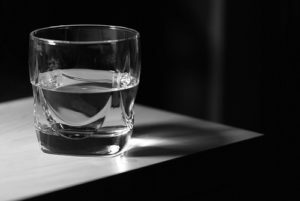 The way you view the proverbial glass as being either half empty or half full gives a peek into how you might experience aging. Consider adopting a more positive, optimistic perspective because what you expect can influence how well you age.